IIT Kharagpur has nurtured numerous eminent personas, Vinod Gupta being one such alumni of this institute, who with his intellect and erudition has catapulted himself to a class of his own. On 31st of March a keen and avid crowd at Netaji auditorium was all set to witness a candid session with the great visionary himself. And Mr Gupta did make the session indulging as well as informative. Mr Vinod Gupta has been Chief Executive Officer (CEO) and Chairman of infoGROUP (previously known as infoUSA). He was also nominated and confirmed to be the United States Consul General to Bermuda as well as nominated by the President to be the United States Ambassador to Fiji. 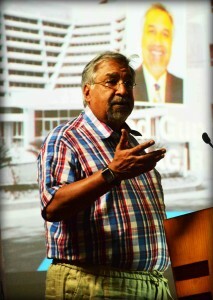 He also founded the, Vinod Gupta School Of Management, to nurture the management enthusiasts in the campus. The proceedings began by Mr. Siddhartha Mukhopadhyay, Dean of Alumni Affairs, expressing his gratitude to Mr Gupta for his services to the institute and the inspiration he pervaded in the campus. Mr Vinod Gupta took over the microphone on request of Director P.P. Chakrabarti. He began by expressing his grief over the recent death of Lokesh Goyal, 4th year Under Graduate and offered his condolences. 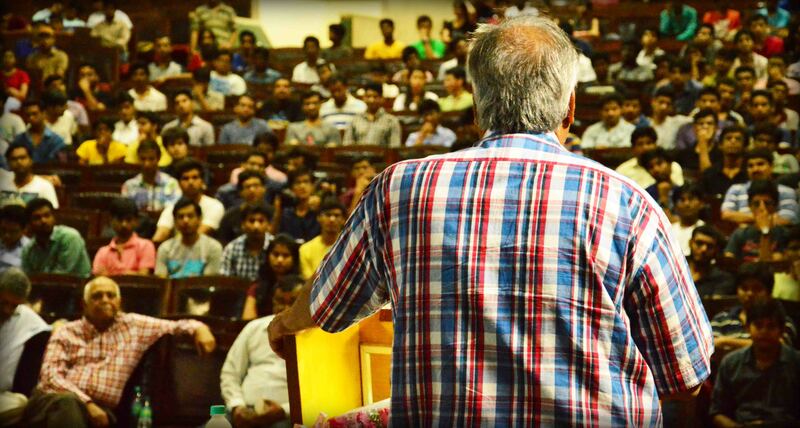 He vividly shared his experiences about his span at IIT Kharagpur, how wee it seemed to him, yet how life-changing it was. For him, education was the single biggest asset, for he didn’t inherit any wealth, education was the reason for his admission to this institute. 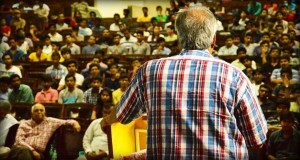 IIT wasn’t just a technical institution for him, it was a place that celebrated passion, a place that inspired him, guided him and transformed him into the person, that stood afore us, sharing his life which some would say was venerable. He later opened up the session for questions and answered them through his perceptive insight. When Sushant, a resident of RK hall requested for his advice to Start-up enthusiasts, he advised him to learn more, go for higher education, get a good job experience and grow as much as you can and then face your dream prepared and strong. He with a mild pun admitted that he yearned to go abroad after his graduation, when asked by Rajat Suman, a 3rd year under-graduate of Aerospace Engineering. He also commented on the unique culture of US universities’ acquiring funds from their alumni, who feel strongly for their alma mater. When questioned about his inspiration, he said, “Failure is your experience. And you need experience to grow, it is inevitable and indispensable.” Sahil Goel, a 1st year UG, when asked about the skill-set required for entrepreneurship, Mr Gupta answered in a facile manner, education and experience. For him the two complemented one another and were vital for starting u p along with an unparalleled passion and fervor for it. 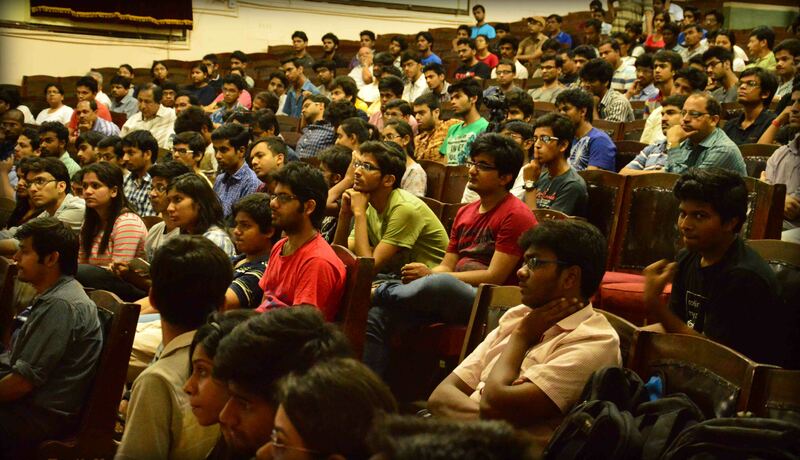 The evening ended with the crowd of IIT Kharagpur awe-inspired. For witnessing an alumni who once was like them and now is a role model to the ardent progeny of this institute. The idea of creating something new always acted as a driving force through all his endeavors and he advised all the attendees the same, to be fervent and follow their dreams, for your dreams are the fables that come true, he said.